Residential And Commercial Wiring Power Lighting. Your Atlantic Beach Electrician, RCS Electrical Services, Has A Marine Division. Click Here For All Your Boat Dock And Boat Lift Wiring, Lighting, Shore Power, And Gem Remotes Installation Needs. RCS Electrical Service is your Atlantic Beach electrician. From a small electric repair, to complicated control system design, or solar panel installation, generator repair, electric service upgrade, boat dock and boat lift wiring, or electric motor repair and installation, contact us for all your electrical needs. 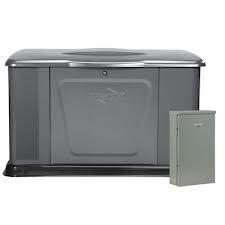 RCS Electrical Services also specializes in Guardian generator repair, Generac generator repair, Centurion generator repair, Kohler generator repair, Briggs and Stratton generator repair, Onan generator repair, and many other brands of generator repair. We are also certified to do Generac generator installation, Guardian generator installation, Centurion generator installation, Kohler generator installation, Briggs and Stratton generator installation, General Electric generator installation, Onan generator installation, and others. Contact us now if you are in need of generator service, generator maintenance, generator installation, or generator repair. Our staff at RCS Electrical Services has a lot of experience with new residential wiring. If you are building a new home, or several homes in Atlantic Beach fl, and need wiring help, let us know. We will secure all permits, make all wiring installations, pass all electrical inspections so that you can go on with your construction project. Click here to send a request for electrical service by your Atlantic Beach electrician. Your Atlantic Beach electrician is a kitchen rewiring specialist. Our kitchen lighting packages are not only beautiful, but functional. We place emphasis on lighting your work surfaces, around the counter top, where you need it the most. And if you want something fancier, we can give your under counter space, soft gentle lighting, which can give you more illumination when you are preparing those special meals. It also can be dimmed later, for those after meal quiet moments, when you can do without the glare. Don't forget to contact us when you are remodeling your bathroom. We can help with the installation of new lights, GFI receptacles, and exhaust fans installation. 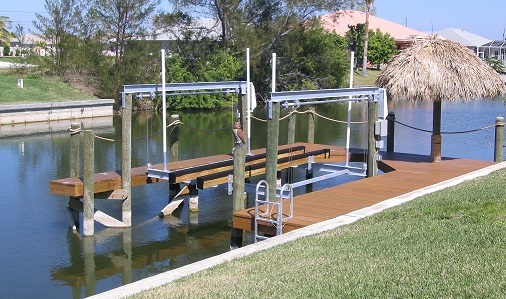 If you are building a new boat dock or boat lift, and need help with marine wiring or electrical installation, we can help. We have many years of experience doing boat dock wiring, boat dock lighting, and boat lift wiring. We install automatic boat lift controls from GEM Remotes. This also allows you to operate your lift with your remote control button. We can provide shore power installation, boat dock internet connections, boat dock water service, and automatic boat lift controls employing GEM Remote Controls. You may already have some secondary surge protectors installed at your electronics equipment location, but you also need primary surge protection inside your main electrical panel. A surge protector inside your main electrical panel acts as a sentinel, preventing high voltage electrical surges from entering your home and destroying your wiring, appliances, and possibly causing a fire. Electrical surges are high sudden voltage fluctuations associated with lightning or electrical storm activity. When the power lines are stricken by lightning or toppled over due to falling trees or high winds, they generate sudden high voltages. These dangerous voltages can enter your home and destroy or cause damage to your electrical system. Click here to order lightning and surge protection today. If you are a builder doing commercial construction in Atlantic Beach Florida, and need a commercial , contact us and let us know about your project. We have the expertise and the technical knowledge to help you. Industrial Electrician in Atlantic Beach Offers Industrial Wiring, Industrial Controls Design and Installation, Automation System Design, And PLC Programming. If you manage or operate an industrial or manufacturing facility, your Atlantic Beach electrician can also help you with those projects. We are able to provide consultation and installation services in a variety of industrial wiring situations, and we have extensive experience with industrial control systems. Standby generators are necessity in your household or business, if you can’t afford to be without power, for even the smallest amount of time. Whether you have an elderly person at home, that is on oxygen, a business you run from home, or you run an operation that needs constant power, a standby generator installation guarantees that you are never without power. Your Atlantic Beach electrician is an expert in the ways of standby generators. Whether you are having new generator installation, or you require generator maintenance, generator repair, or generator service, he will deliver the solution you need. You will feel confident knowing that not only you planned well, but also have a strong technical person by your side, for those times when you need technical support, repair, or service. We are factory certified technicians for General Electric, Generac, Briggs and Stratton, Onan, and Kohler. Contact us for all your generator installation, service, repair, or maintenance needs. Or click here if you need your Atlantic Beach electrician to do maintenance, repair, or service your generator.